Leone-style face-off between gun-toting gangs at a gas station: outright street-warfare is evidently imminent, which presents something of a problem for young Montague when, at an absurdly extravagant costume ball thrown at the Capulets' mansion, he falls head over heels for Juliet. So starts WS's Romeo & Juliet. 's gleefully cinematic version of the play is so relentlessly inventive and innovative, it takes 20 minutes to get a grasp on how appropriate is his approach to the material. Bravely (but sensibly) sticking with the original dialogue, Luhrmann makes the central element of his audacious adaptation visual: as the camera races wildly around, or rests on luminous close-ups and ornate tableaux, the striking sets, costumes, characters, the colours and compositions serve perfectly to evoke the forces of wealth and poverty, love and hate, power and pride, prejudice and superstition that infest the chaotically sprawling post-punk, post-industrial, multi-ethnic world of millennial Verona (Mexico City and Vera Cruz, heavily made over). Fine as the rest of the cast is, it's DiCaprio and Danes - vulnerable, innocent, impassioned and beautiful, both of them - who steal the honours. Recently saw this movie again and was amazed by how much I liked it, I think the first time I was too young and did not fully comprehend the dialogue. The movie is incredible because of its fusion between a modern environment and a Shakespearean dialogue. The acting is amazing and the chemistry between the cast is undeniable. Although it is already a little old it certainly doesn't feel like it, t's a classic. he way the scenes are cut really transports you to a place where something this crazy could happen. Using the original Shakespearean dialogue could make the storyline slightly hard to follow but the visuals really support the plot. The crazy costumes highlight the divide between the two families, this is definitely one of Baz Luhrmann's most iconic films. Moulin Rouge is talked about more frequently just because everyone knows the songs. 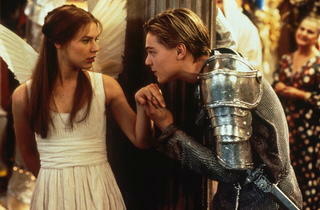 I think the chemistry between Di Caprio and Danes is a little off, but maybe that just helps emphasise their young age. The fast pace of the film and the story definitely keeps you engaged throughout. I only saw this movie last night at an event (and it's 2016 - where have I been?) And it certainly has a style all of its own. 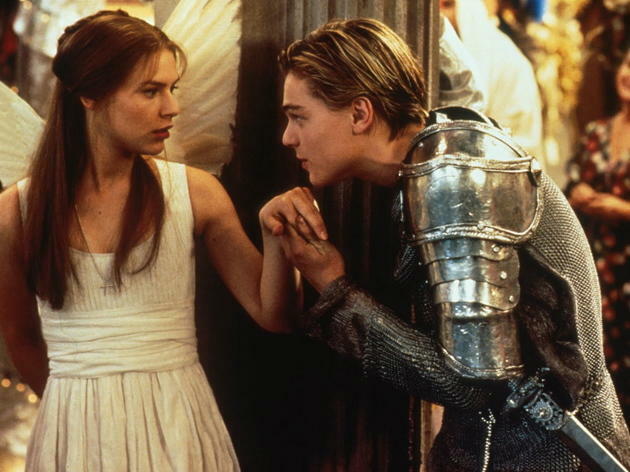 Baz Luhrmann is at the directing helm and, as with Moulin Rouge, he uses music and stylish cuts to give the movie a very unique look and feel! Think of it as Pulp Fiction meets Shakespeare meets Scarface and you'll be partially there. A young Leo is fantastic in the main role, the love affair is convincing and the dialogue is as it is if you would see this at The Swan in Stratford-Upon-Avon! For all the tragedy there's also a far amount of comedy in this movie to keep you entertained until the end, even if you find some of it hard to follow thanks to the olde Englishe! this is an excellent film!! !